Your business outlet needs to be protected 24/7 – there is no question about that. There are thousands of people coming in to make a purchase or just look around and see if they like something. With so much hustle and bustle around you, how will you focus on your business if security tops your list of concerns? By hiring a Bellflower armed security guard service, you can stop worrying and focus on your core operations while a well-renowned security firm takes care of your protection, and that of your customers and products. Having armed guards deployed around the premises will also give off an impression of ultimate safety, be a source of comfort for your employees and customers, and ultimately result in an increase in sales. An armed guard is fully trained for carrying a loaded weapon, as well as keeping an eye on his or her surroundings. Their training never lets them be careless in any situation. Our kids are our future. The recent security threats and attacks in the most shocking of places have taken their trust away from the human race and they need to feel secure again. 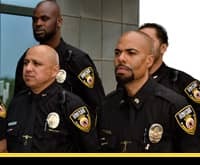 Terrorists, criminals, and assaulters, all are ready to strike whenever they can, so a fail-safe way to protect children while they are out getting an education is by hiring a Bellflower armed security guard service. The professional guards will be able to take care of the kids so that their parents can relax and go about their daily activities without a worry. A trained guard can handle all kinds of threats, whether they be in the form of external terror attacks or even rifts between older students. Whether it’s a commercial property, a retail store or any populated business or residential dwelling, a Bellflower armed security guard service is the optimum way to maintain ultimate protection. While you can pair this form of protection with other services, such as CCTV monitoring, patrolling services, unarmed guards, and much more, having armed officials in the vicinity is a must. Whether it is a residential area or business hub, individuals who live or work there deserve to feel safe. While armed guards can effectively control a criminal activity when it occurs, their mere presence acts as a deterrent to crime, making them a highly valuable component of any security plan.